to supply an animal with a mixture of minerals, which is not only determined by the number and amount of individual substances, but rather by the balance in the composition, oriented towards the needs of animal organisms. Major and trace elements, vitamins and amino acids must support each other and their impact may not have a negative effect. These criteria were taken into consideration when composing NEKTON-MSA so that the owner can provide his animals with these elements in the best possible way. 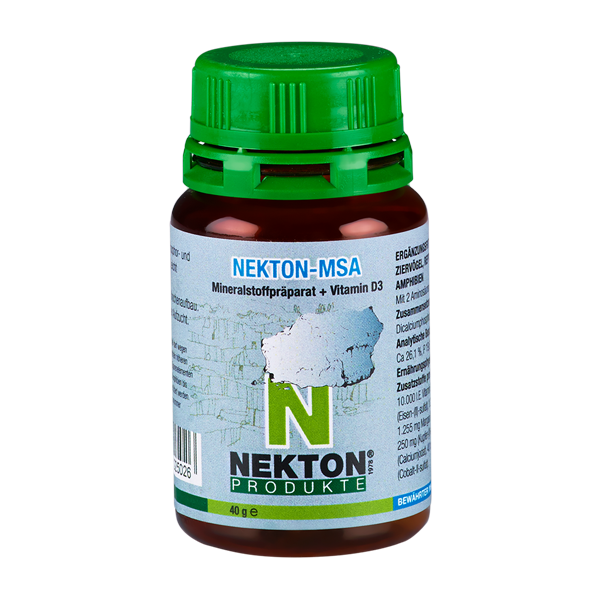 A green measuring spoon is attached to each bottle of NEKTON MSA. 1.5g of NEKTON-MSA corresponds to one measuring spoon.